Hello everyone and welcome to Fight To The Finish Season's 2 Final Results! I apologize how long I took getting this season started, this season was planned for May 2016, but then got pushed back to July, then fall, then winter, and it wasn't until January 2017 we got the 2nd season kicked off and going. The second season was mostly weekly and lasted until June. When comparing Season 2 to Season 1 there were many notable improvements, but also a few aspects that made me like Season 1 better. Which one do I think turned out better? I honestly don't know, I feel like I still need to process Season 2 a bit since right now. Anyway for those that don't know I'm FalconXD and I host the Fight To The Finish series, a weekly tournament series split into 15 tournament seasons. At the end of each season the Top 3 players earn prizes. The purpose of this post will be my wrap-up on the second season, a little bit of detail on the next season, and a post for the leader-board results. -The addition of certain events like Grudge Match Fridays and Cody's Bounty Hunt gave the series an unique feeling. -The series was well organized for the most part and only a few tournaments dragged on for a bit. -The inactivity switch was helpful for the leader-board and did the job that decay did much better. -There were over 200 unique players this season, it's always fun seeing many people compete in the tournament. -Mee6 was extremely helpful for the series and I can't wait to experiment with more bots and see what I can do to improve the servers. -A large variety of characters were used by the top players this season, only 5 didn't appear in any Season 2 tournaments as well as the 2 that have never been in a top spot in Fight To The Finish. -The leader-board updates were significantly improved compared to Season 1 and helped keep people up to speed on the standings. 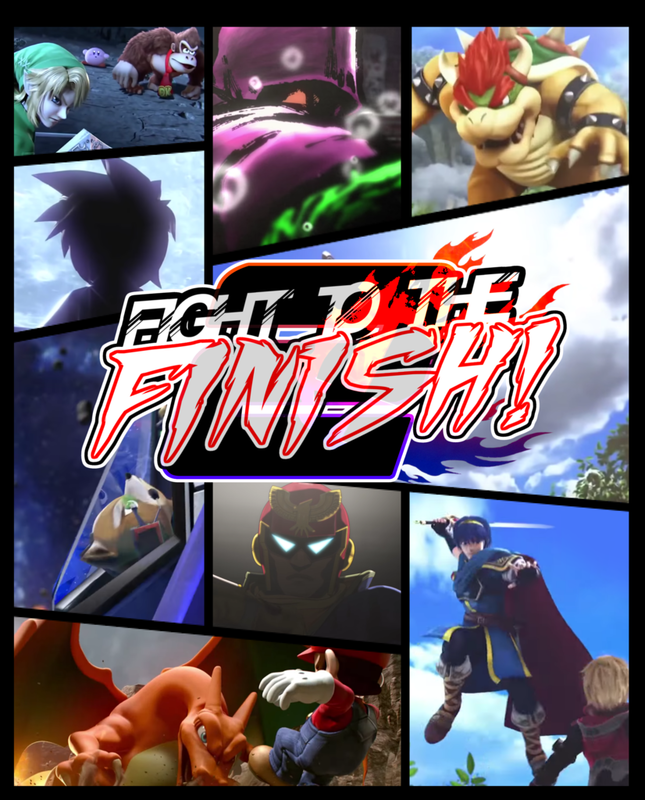 -Critical created very nice banners and stream layouts for Fight To The Finish. Shout-out to him! -I appreciate how must servers I am in supported me advertising the series letting me post in designated channels and advertise to their friends. -Special themed tournaments had positive feedback, even if they were a bit on the casual side. -I feel a decent chunk of rivalries and connections were made through the series. -It felt nice getting to join more tournaments this season than last season. -Features like the tournament trivia, character of the day, and Believe's Replay Reel were implemented well enough and went fairly well. -The average size of a tournament was between 25-30 players which is fairly standard, although it could be a bit higher. -Advertising was alright, it could be a bit stronger. -The level system while a complete after thought was well-received. -Fight To The Finish was successful, but I have other ambitions I must pursue. -There were only a few champions this season, not like one person won every tournament, but the variety could get improved. -It was a bit discouraging knowing that I had to 100% monitor the chat at all times to keep progress from being stalled. -The lag scale could be a bit fixed and I apologize as I wasn't always clear on it. -The leader-board system needs to be re-balanced. Season 3's leader-board shall be fixed to keep things fair while not needing power moves. -Certain features were unfinished, but I'm working on getting them up and running for Season 3. -A little bit too much salt at certain moments, working on finding a fix for this. -Skyloft and maybe even Halberd (still love Halberd lol) were a bit much for the stage list. -The streamer and commentator situation needs vast improvement. -There was a short time when the series had to be put on hiatus, it was only around a month which was better than Season 1, but it needs improvement.